Introducing this beautiful frequency to water!! Moksha is the ultimate Peace, Knowledge and Enlightenment. The process of Moksha is the process by which the soul is liberated from repeating the cycle of reincarnation (death and re-birth). The soul is then freed from experiencing all pain, suffering, and limitations involved in ‘worldly existence’. These limitations are influenced by one’s attachment to worldly experiences and possessions. Another way to define Moksha would be to call it Freedom or Liberation. In doing so, the ‘enlightened’ soul is able to leave behind all concepts of ego, power, money, greed and other related earthly passions. This gorgeous mandala art was gifted to Blue Bottle Love by Serenity Spa in Roseville, CA. 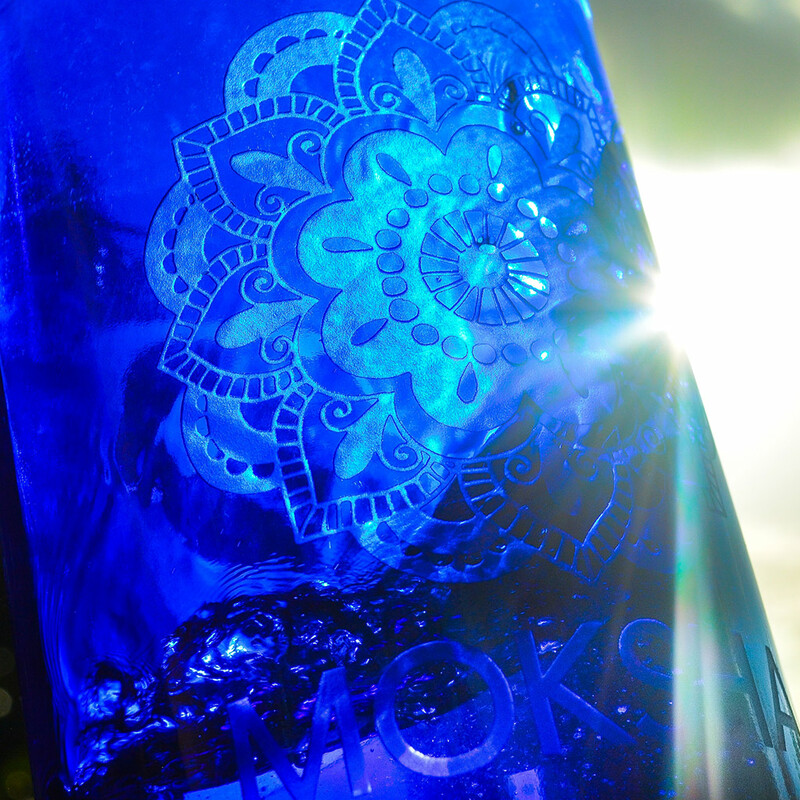 We are grateful to be able to offer this powerful symbol to you and to water. The water tasted amazing blessed by this frequency!